Get the MP300/M3 Plus 12V DC power adapter. The power adapter is used for powering these portable 2.1 speaker system. The award winning Aurora is a 2.1 speaker system designed as a solution to low quality laptop speakers. The Aurora is incredibly lightweight, compact and comes with a carrying case used for portability. The Aurora MP300 Plus is available in 5 different eye catching colours black, silver, blue, red, and pink. The Aurora is the winner of a highly coveted Red Dot Design Award for its 2-inch magnetically shielded tube style subwoofer and 2 round spherical 1½-inch magnetically shielded satellite speakers that have metal weave grills. Wherever you place the Aurora, it will look beautiful and sound amazing. Coupled with impressive design, the Aurora also comes with a hard-hitting superior sound. The Aurora comes with Edifier Intelligent Distortion Control (EIDC), which has been uniquely engineered to make stereo sound clear and eliminate distortion. This patented technology uses a single microprocessor to identify and collect distortion output signal. From there, it automatically adjusts the amplifier and protects the speaker system from overloading the output. This allows for different input sources have varying input levels and creates a sound that is stable, ultimately creating a clear and detailed sound. The Aurora has a 3.5mm auxiliary connection so you can connect the Aurora to any laptop, mp3 player, computer or any devices that outputs audio through a 3.5mm jack. Adjust the volume on the speaker system with the 2 volume control buttons located on top of one of the satellite speakers. Claim power with the e10 Exclaim and e10bt Exclaim Connect power adapter. 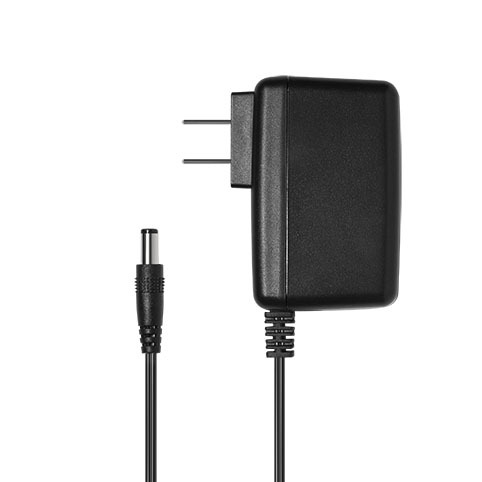 This power adapter is a 12V DC used for driving power to Edifier’s powerful 2.0 speaker system. The Edifier e10 Exclaim has a 3inch subwoofer and a 3-inch radiator on both speakers. The passive bass radiator offers maximum effect for a deep bass sound made for getting the party started. The radiators also produce crisp highs and mids making these speakers the ideal desktop and laptop computer audio solution. Exclaim’s unique look creates a seamless blend of both smooth curves and straight lines. Both satellites house 3 active speaker drivers and 2 passive radiators. These speakers maximize audio performance. The top section of each speaker has two 1½ inch midrange tweeters and 1½ inch by 3 inch passive radiators. Meanwhile, the base section of the speaker set up has a 3-inch woofer and a 3-inch passive bass radiator. The e10 Exclaim is a bi-amped bookshelf speaker system that is packed with a powerful sound. It incorporates digital sign processing technology that delivers an active crossover frequency and ultimate tonal balance, especially at high volumes. This speaker also incorporates dynamic range compensation that keeps distortion at an complete minimum. The Edifier Exclaim comes with a 3.5mm auxiliary cable used for connecting this speaker to any device. The e10bt Exclaim Connect is built upon the technology used in the e10 Exclaim. The most notable difference in the e10bt Exclaim Connect is that these speakers come equipped with Bluetooth technology. With Bluetooth technology, you can now pair your phone and other Bluetooth connected devices to the Edifier Exclaim Connect. Now with Bluetooth you can wirelessly stream the party wherever you go.